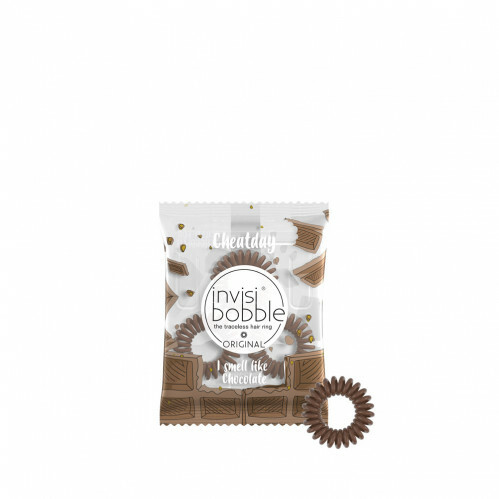 Cave in without the calories with the Invisibobble Cheat Day Crazy for Chocolate. The fix for chocolate lovers the Invisibobble pack are sweetly scented, with a non soak finish for use on damp or dry tresses. The ultimate traceless bobble, reducing the kinks and bumps that usual bobbles leave to your locks. For a strong hold, your up do will be kept in place without discomfort or damage.